The Golden Century of Dutch Art. Vermeer, il secolo d'oro dell'arte olandese (The Golden Century of Dutch Art) is the first public exhibition ever held in Italy of work by the greatest master of Dutch 17th century painting, and possibly one of the most popular painters in the entire history of art. 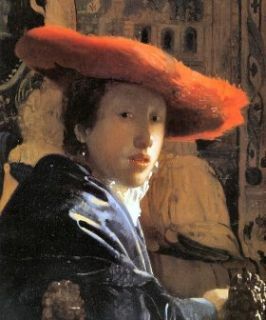 The Scuderie del Quirinale exhibition will include a meticulous selection of works by Vermeer – extremely rare, and held in museums throughout the world – and some fifty works by his Dutch contemporaries. Thus the visitor will be able not only to explore the genius of this artist, whose life continues to be shrouded in mystery (even his date of birth is still unknown), but also to understand how the Delft master's work dovetails with that of the other artists active in his native city and in nearby centres of cultural ferment such as Amsterdam, Haarlem and Leyden. Today the Scuderie del Quirinale is proud to be in a position to offer visitors this fantastic exhibition and its accompanying catalogue, to allow them to explore and to understand Dutch painting and the great, undisputed and absolute master that is Johannes Vermeer.